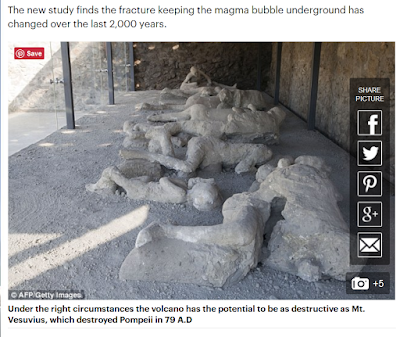 "A team of researchers", suddenly change their tune, after the "experts" had considered the Volcano extinct. 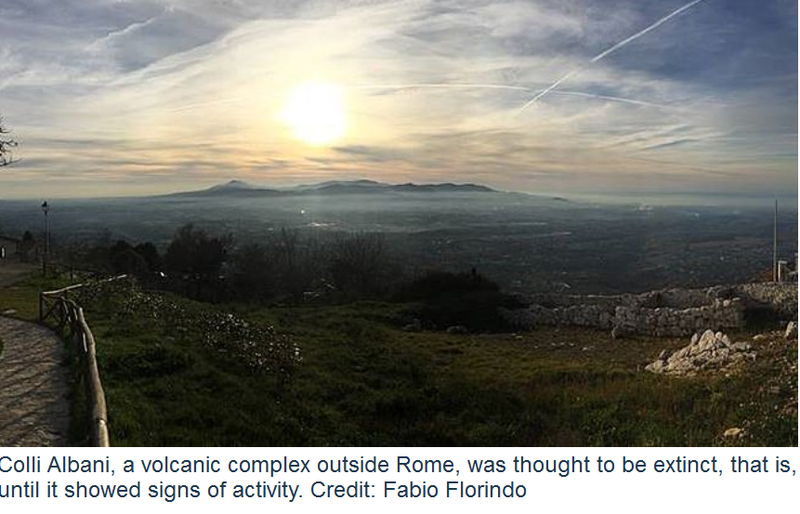 Now, researchers have reported in the journal Geophysical Research Letters that Colli Albani just doesn't erupt that often. In fact, it enters an eruptive phase every 31,000 years or so. A volcano outside Rome, long thought extinct, is rumbling to life. But don't panic: The volcano isn't likely to blow its top for at least another 1,000 years. Simple math. It erupts on average every 31,000 years. It is 5000 years overdue in that case. But "don't worry" even though overdue, it won't happen for 1000 years. 2) Get more grant money to "monitor" even though speaking out of the other side of their mouth...."it won't happen for at least 1000 years". Yet the experts are piss poor at predicting even simple, very predictable earthquake risk timeframes. 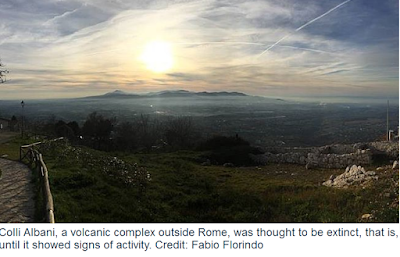 Although a massive eruption of Colli Albani is not likely for another millennium, Marra said he hopes the new research is a wake-up call for closer monitoring of the volcano.